The physical setting, H D Tjia. Forest types and forest zonation, T C Whitmore. The dipterocarps, M Jacobs. Forest palms, J Dransfield. Forest bamboos, S Dransfield. Herbaceous flowering plants, R Kiew. Ferns, R E Holttum. Higher fungi, E T H Corner. Forest tree biology, F S P Ng. Forest management, S Mohamed Nor. Mammals: Genetic diversity and evolution, H S Yong. Mammals: Distribution and ecology, Earl of Cranbrook. Birds, D Wells. Termites, N M Collins. Forest Lepidoptera, H S Barlow. Freshwaters, Earl of Cranbrook & J I Furtado. Animal conservation strategies, M K Mohamed Khan. People of the forest, A T Rambo. Species Index. Subject Index. Of the vast area of structurally similar vegetation that forms the Far Eastern tropical rain forest block, only the forests of peninsular Malaysia lie on the mainland of Asia. Although showing some influence from this source, the flora and fauna are distinctive and exceedingly rich in species. Among other factors, this richness reflects the complex structure of the vegetation, justly famous for the extensive stands of tall trees that create the conditions to which many smaller plants, fungi and a huge variety of animals are adapted. After a century of scientific investigation, it is now possible to understand peninsular Malaysia's complex ecosystem as an essential prerequisite to the successful management for conservation and long-term productivity in the area. Compiled by authors with personal experience of the region, this book constitutes the most authoritative account of this diverse and fragile region. 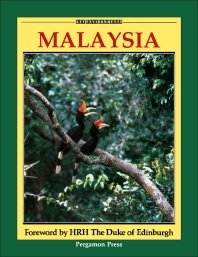 It is essential reading for all those interested in Malaysia and its conservation. For biologists, environmentalists, conservationists, professional ecologists and geographers.